Since its introduction in Austria more than 35 years ago, the Glock has become the handgun of choice for military units, police departments, security forces and private citizens around the world. If you're a proud Glock owner, High Noon Holsters offers a high-quality carrier specifically designed for Glock magazines. You'll get a durable, expertly crafted item backed by our more than 20 years of firearm product manufacturing experience. 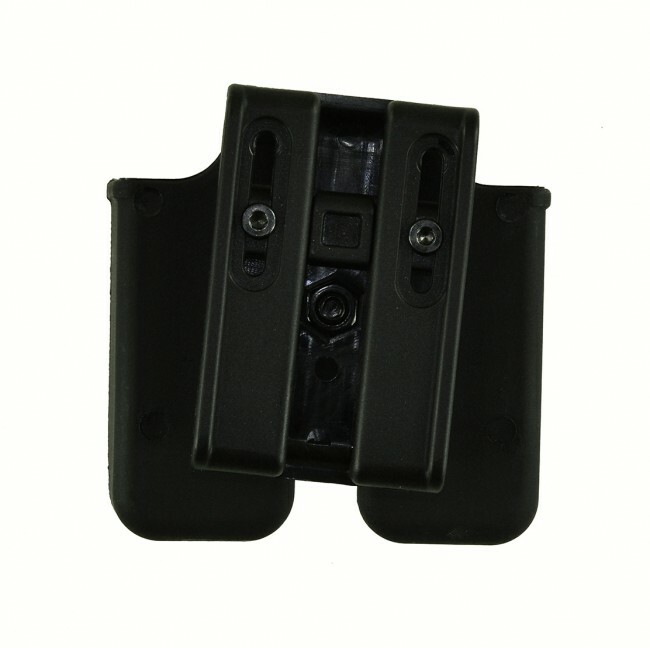 We can provide you with a magazine carrier for the Glock 17, 22, 31, 19, 23, 32, 26, 27 and 33. 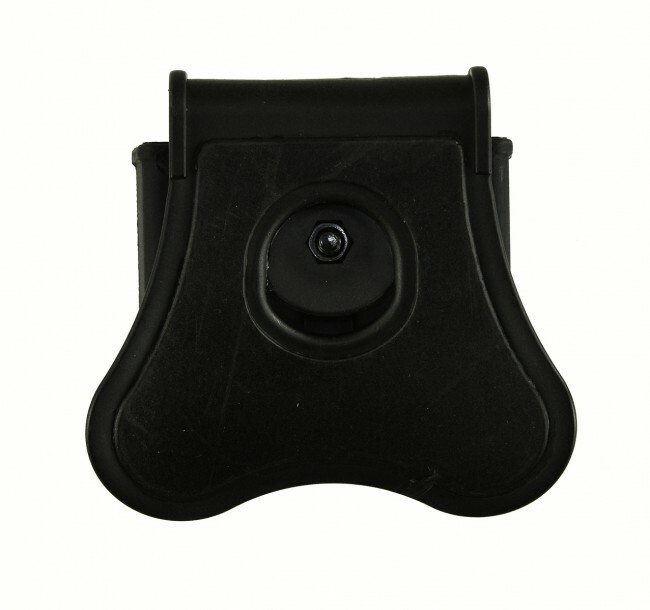 Our Tactical Line is injection molded from the best quality polymer. 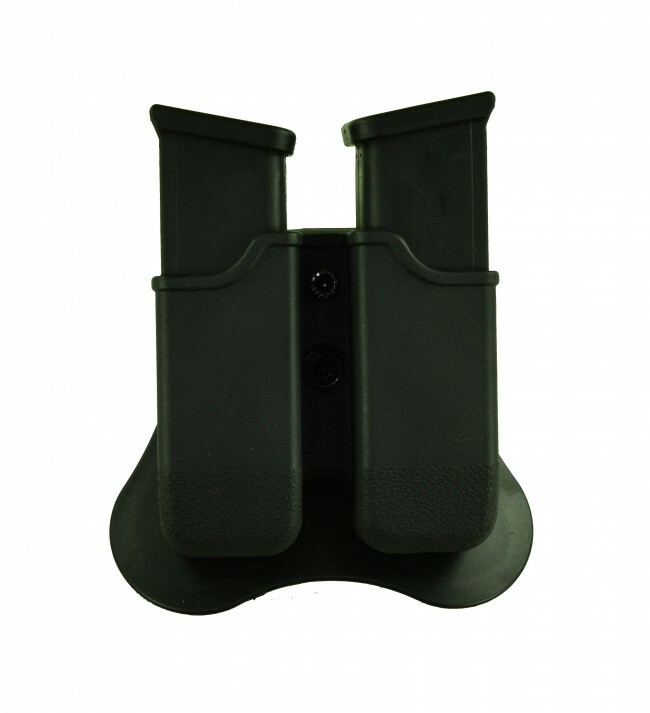 Each tactical magazine carrier can easily mount to a dropdown, belt, are paddle configuration. 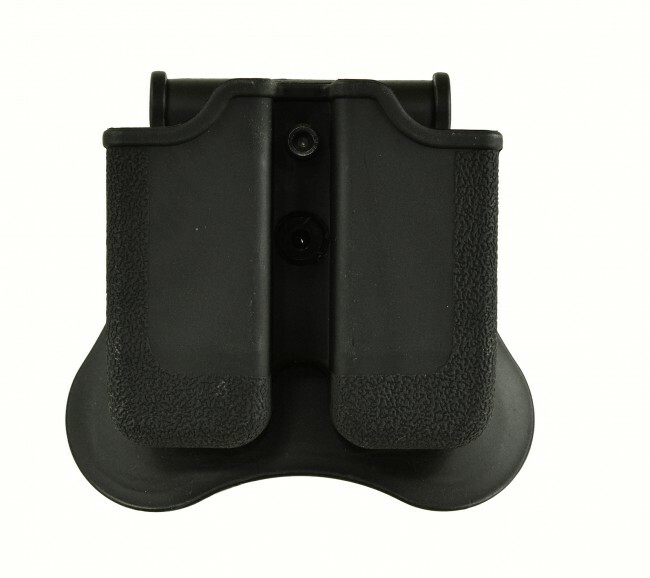 The adjustment ability on the axis point allows the wearer to custom adjust the magazine carrier to any position – 360 degrees. 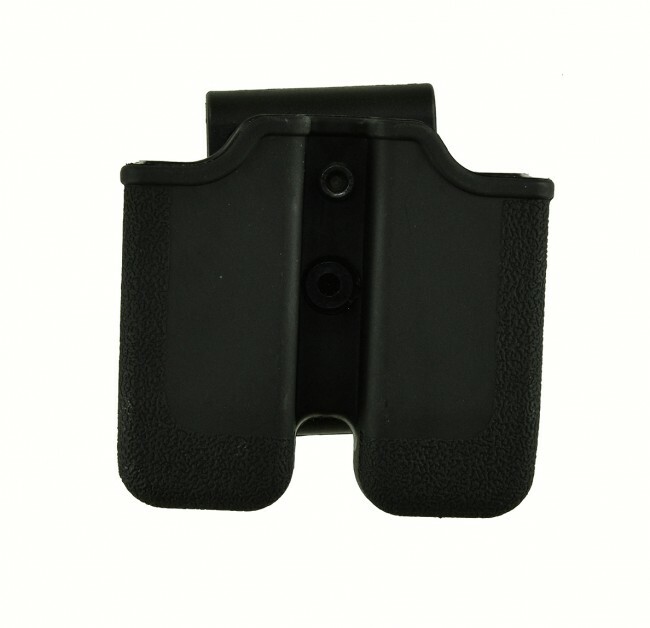 The ability to adjust the magazine carrier enables you to wear it at any position on the body. Our impeccable craftsmanship sets High Noon Holsters apart from other Glock magazine carrier manufacturers. You can count on getting a reliable carrier that will serve you well for years to come. We also strive to make every first-time buyer a loyal, long-term customer. If you are not happy with your carrier for any reason, please let us know and we'll do our best to correct the issue. If you're still not satisfied, you can return the item within 14 days for a refund. You'll Enjoy Your Online Shopping Experience! We've done everything we can to make purchasing a Glock magazine carrier and the other products in our inventory as hassle-free as possible — including upgrading our e-commerce site to meet our customers' demands. You'll be able to find the information you to need to make an educated purchasing decision. Once you've finished creating your wish list, you can check out seamlessly and securely using your preferred payment method. Available options include MasterCard, Visa, Discover, American Express and PayPal. 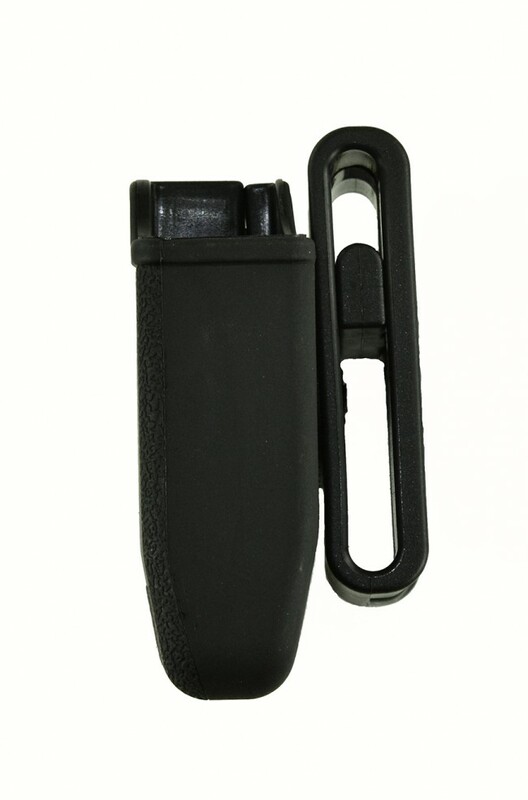 The Glock magazine carrier is a "stocking" item, which means you won't have to wait for us to manufacture one for you. Even better, it's available for almost immediate shipping. In most cases, we can ship it in only 1-5 days! 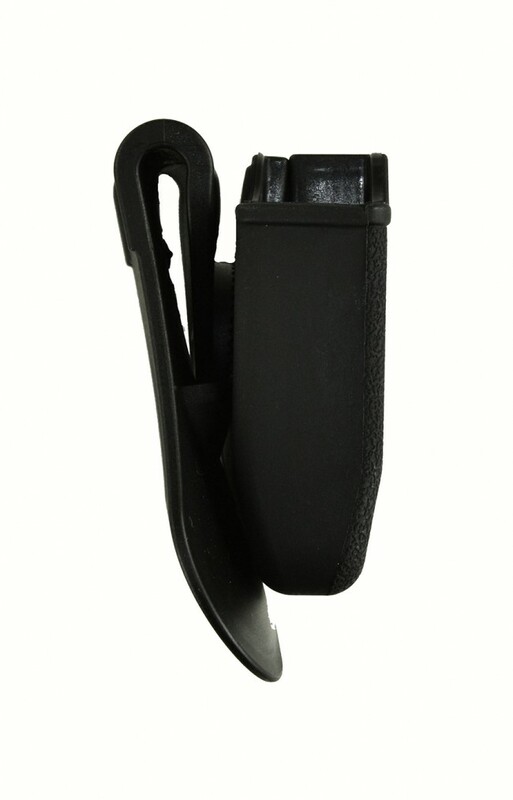 Order Your Glock Magazine Carrier Right Now! Enjoy the benefits of a high-quality, American-made product that will exceed your expectations. Place your Glock magazine carrier order from High Noon Holsters today! If you have questions or need more information, don't hesitate to contact us. You can reach our customer service team by phone or email at your convenience.